Each year in September as many as 120,000 mo-bikers world-wide ride (Distinguished Gentleman’s Ride) to raise funds and awareness for men’s health, specifically prostate cancer and men’s mental health. In Jaipur too as many as 132 mo-bike rider rode from the Rajasthan Polo Club to the Triumph showroom in morning. They were riding Triumphs, Harley Davidsons, Hondas, Royal Enfields. 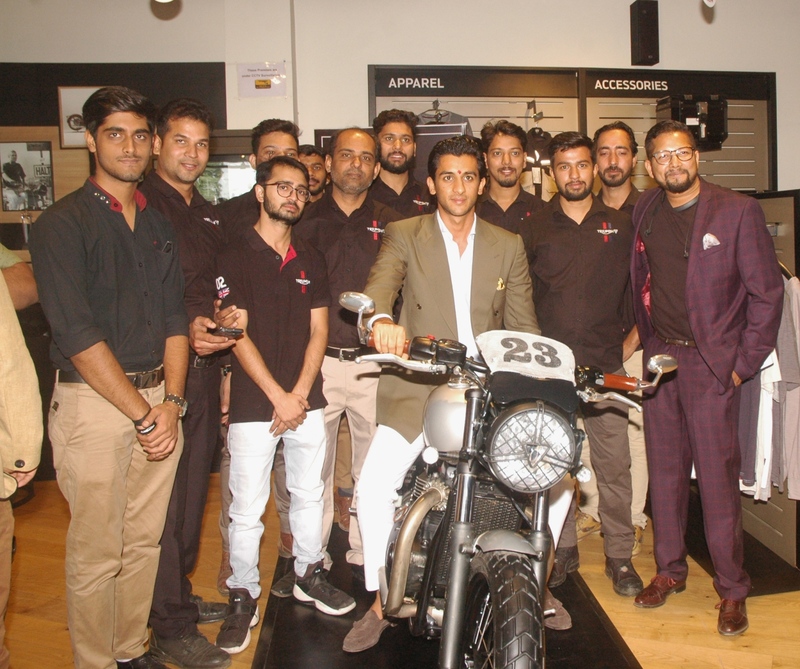 Today, the 3rd anniversary of the Triumph showroom in Jaipur was also being celebrated. At the venue, Maharaja Padmanabh Singh of Jaipur was the Chief Guest who gave away prizes to the riders in different categories. On the occasion he said that it was of utmost importance to raise awareness for prostate cancer among men. This global ride was indeed fulfilling the cause of creating such an awareness. Later, Maharaja Padmanabh also sat astride a Triumph motor bike (Drago) and revved it up. Its concept has been created by Supratik Guha. A presentation on prostate cancer was also given by Dr. M. Roychowdhary.